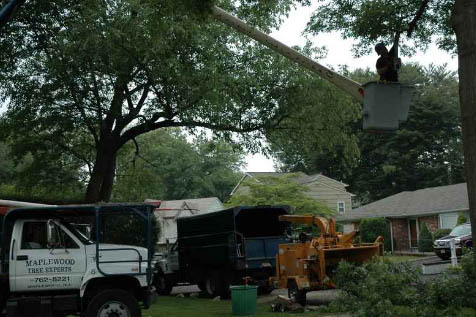 Since 1975 we have been delivering the very best tree care to the property owners and families of New Jersey. We are proud of our reputation! A reputation we built by following this mission: “For every service we perform, we will deliver the highest level of professionalism every day and achieve complete customer satisfaction.” Our motto “The job is not complete until our customer is happy with our work”. As a result, our most valuable advertisement has always been client referrals. We are also your local Tree Experts. All of our technicians are trained to care for each tree and shrub we are entrusted with. - Tree and shrub fertilization programs through deep root injection of bio-stimulants and micro (Mauget) injections. We have a New Jersey State Certified Tree Expert on staff, as well as a New Jersey State certified pesticide applicator.